The Enterprise comes across an uninhabited M-class planet in the Omicron Delta star cluster, which is very much a promising stopover for a weary, tired crew. 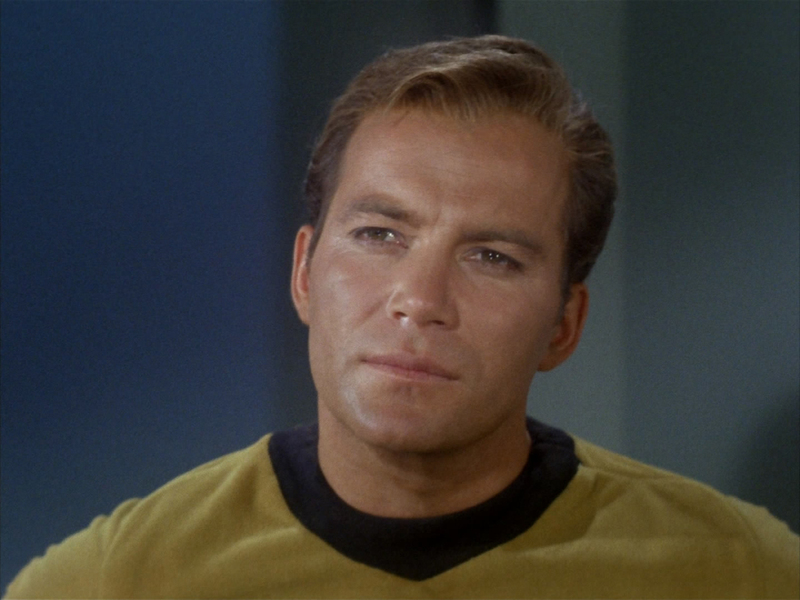 Even Captain Kirk himself is feeling the wear and tear of the last several missions; he gets a muscle cramp on the bridge, is visibly tired, and even stumbles a bit on the stardate in his personal log. The first scene on the bridge is a little funny, when the Captain thinks Spock is helping to unkink his back, but in actuality it is Yeoman Barrows (played by Emily Banks, whose character is here in place of a conspicuously absent Janice Rand). McCoy and Sulu are among the initial landing party that is studying this garden world. On the first sensor sweeps, this planet is seemingly a perfect paradise, with no insects, mammals, or even birds, just lush plant life, crisp clean air, and sunshine. 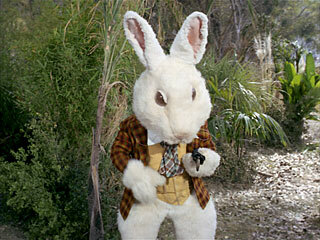 The good doctor, knowing this, is absolutely dumbstruck when a gigantic white rabbit appears in front of him, claiming to be late, and then a blonde girl follows behind him, disappearing through a hole in a hedge. With “Alice In Wonderland” taking place before his eyes, McCoy suddenly doubts his sanity. This sets up a very amusing scene, one of my favorites, where McCoy has to give his report on what he saw to the Captain. 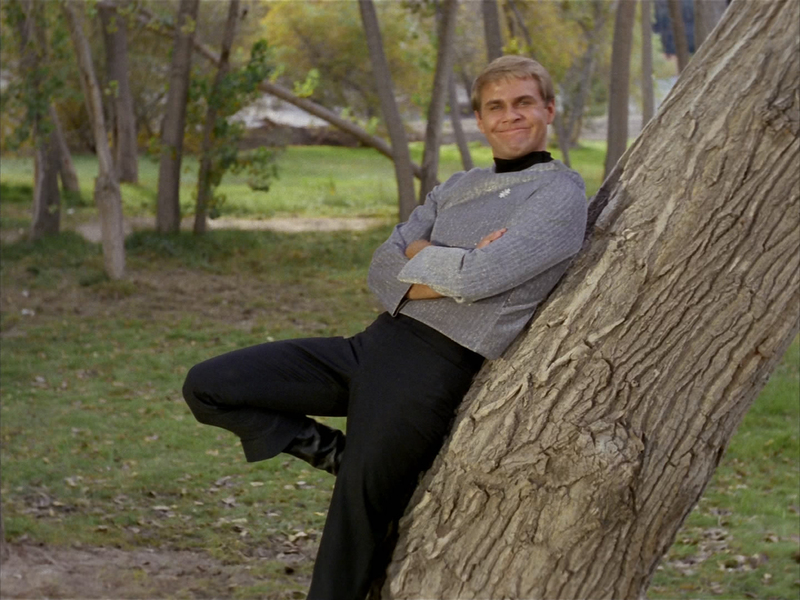 Kirk thinks McCoy is just pulling his leg to get him to beam down for R&R, but ends up having to take a rest leave anyway when Spock and McCoy pull a little stunt that tricks Kirk into ordering himself to go ashore. 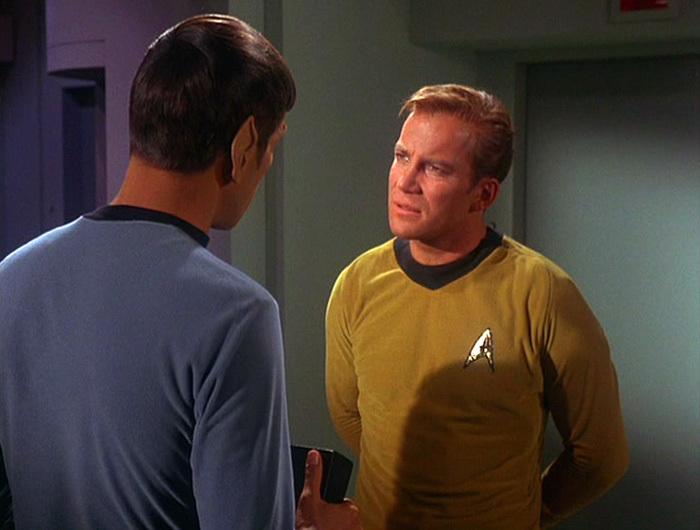 The look that Kirk gives Spock, one of “I can’t believe you just tricked me,” is priceless. When the Captain does join McCoy on the planet surface, what starts as a light-hearted mystery surrounding the doctor’s rabbit, begins to take a weird turn when Sulu ends up finding an old-style Earth revolver. And naturally, he gets trigger happy with it (oh my). While continuing the investigation, Kirk and McCoy start reminiscing about the Captain’s academy days, and not more than a minute later, Kirk runs into his academy nemesis, Finnegan (played by Bruce Mars). 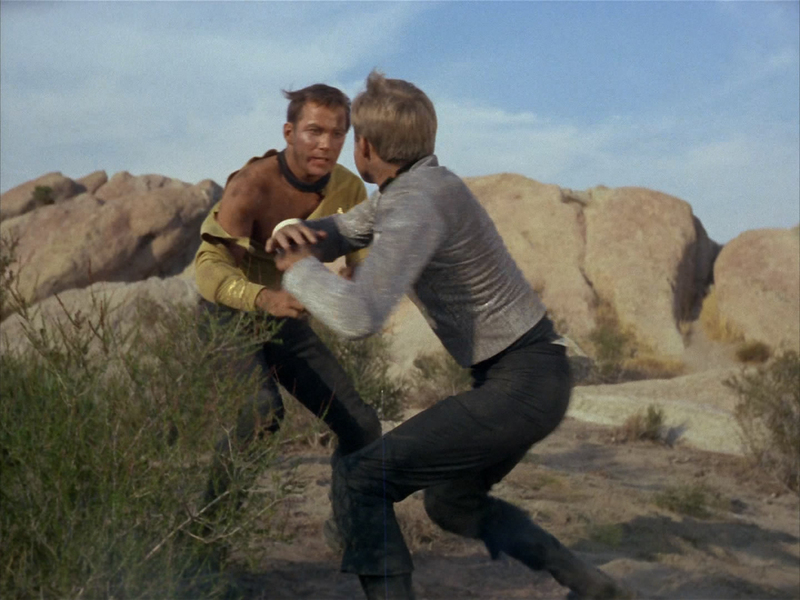 After getting sucker punched by his old rival, Kirk ends up having to run to the defense of Yeoman Barrows, who was set upon by what McCoy describes as sounding like “Don Juan.” Even at this point in the episode, it’s pretty easy for us, the audience, to figure out that everything that the crew seems to be thinking about comes to life shortly thereafter. But if I were in a situation where everything I thought about magically appeared, like the Enterprise crew, I might not believe it at first either. “Shore Leave” wisely plays this off with a light tone. It is not a pure comedy like “The Trouble With Tribbles,” but the episode definitely keeps its tongue firmly planted in cheek. Kirk, naturally ends up inadvertently summoning yet another old girlfriend, Ruth. Sulu conjures a Samurai warrior. Lieutenant Rodriguez thinks of birds, a tiger, and later a World War II fighter plane. Yeoman Barrows, after having been daydreaming about Don Juan, then thinks about having a fairy tale dress. Now, I have heard some strong criticism of that latter part, and it is true that 1960s Star Trek, though very progressive inmost regards, did not give women an exactly equal treatment on par with men. Women in the show are typically portrayed as damsels in distress, or, with the exception of Uhura, are shown to have secondary, somewhat more subservient roles. With that in mind however, is it not equally sexist to say that Barrows shouldn’t daydream about dressing like a princess, even if she really wanted to? Wouldn’t today’s more progressive, “accepting” audience applaud a man who, say wanted to dress like a woman? Yet that same audience seems to cry foul when a woman is into something excessively girly. Maybe I am just a guy and I don’t “get it,” but my personal stance is that while the way women were treated in 1960s television was by and large wrong, the portrayal of Yeoman Barrows and her fantasies in “Shore Leave,” well, in the context of the episode, I don’t see it as particularly sexist. Along with the shenanigans on the planet surface, an energy field slowly starts to emanate from the planet, and it begins to disrupt systems on the Enterprise. It would seem that once the strangeness starts to set in on the planet surface, Kirk, or perhaps even Spock, became concerned for the ship, and unintentionally created a minor crisis that interfered with ship systems, as well as communicators and phasers. The gags get truly serious when McCoy ends up getting killed by a knight in shining armor. Admittedly, this is probably the point where Kirk and co. should have figured out, “ah ha, everything we think of appears seemingly from nowhere.” I do think Spock had it figured out already, but when Finnegan returns, Kirk ends up chasing after his nemesis, leaving the investigation of McCoy’s fate in his first officer’s hands. In Kirk’s mind, I suppose that there might have been a tiny sliver of a reasonable chance that Finnegan was somehow responsible for what was happening to the Enterprise crew. Kirk’s pursuit of Finnegan plays out as a glorified excuse for Kirk to get into a fistfight with an irritating menace from his past. It’s a classic example of an old-school, 1960s television brawl, and gives us one of the earliest displays of Kirk Fu at work. And of course, the Captain has to get his shirt torn, showing off his chest for the ladies. Though it gets a little cheesy, this is a super fun scene, backed by an excellent, irreverent score from composer Gerald Fried. 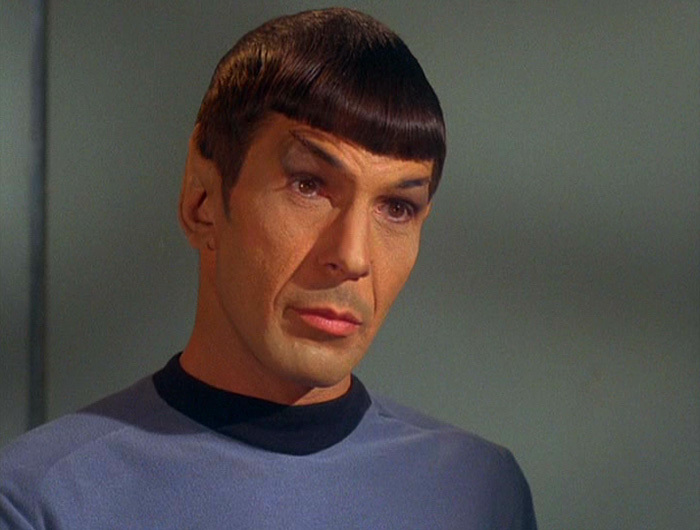 After reveling in his triumph over Finnegan, Kirk rejoins Spock, and they take control of the situation, ordering the rest of the crew to render their thoughts blank. This prompts the appearance of the planet’s Caretaker (not to be confused with the alien from Star Trek: Voyager), who realizes that the silly humans have misunderstood the purpose of this planet. The Caretaker describes it as a place for his kind to “come, and play.” Spock makes a comparison to an amusement park, a place to “see and do, all sorts of fascinating things.” And of course, McCoy’s death is repaired, and ends up being just another element of the entertainment. 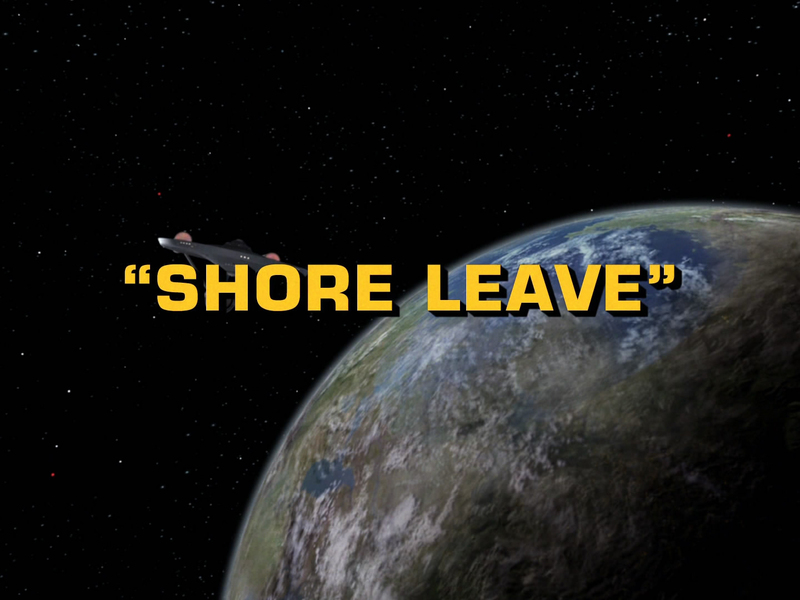 “Shore Leave” leaves off on a note of irreverent jubilation. The crew enjoyed their rest, in a manner deemed most illogical by Mr. Spock. They also learned a lesson, that even supremely advanced races, who can transmute matter, read minds, and manufacture almost anything conceivable within seconds, have a need for the simplicity of a place to relax and play. This episode is also noteworthy for giving us a glimpse at fantasy run amok, well before The Next Generation began its shenanigans on the Holodeck. I personally consider it more entertaining than most of Star Trek’s Holodeck adventures to date. “Shore Leave” is in no danger of outdoing “The Trouble With Tribbles” or “The Voyage Home” for the best Trek comedic content, nor is it terribly cerebral, but it is just a huge amount of fun to watch. It is definitely among the better episodes of Season One.